Objective: The objective of this study was to apply the newly recommended mandatory immunohistochemical (IHC) markers, isocitrate dehydrogenase (IDH) and ATRX, in addition to our previously applied panel of p53, epidermal growth factor receptor [EGFR], vascular endothelial growth factor [VEGF], MDM2, and Ki67 on histopathologically diagnosed thirty cases of glioblastoma. Their interrelationship and correlation with survival pattern were analyzed. 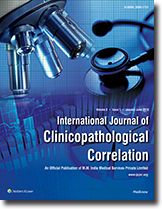 Materials and Methods: A retrospective analysis of the histopathology records and clinical case files was done in thirty cases of glioblastoma (World Health Organization Grade IV). 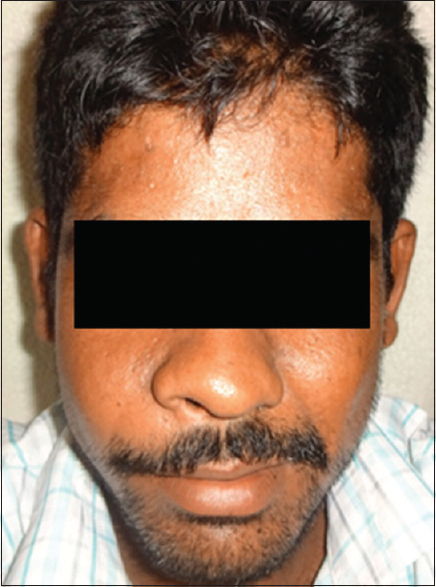 These cases were analyzed for certain defined clinical and histopathological parameters. IHC staining for IDH1-R132H and ATRX was done. IHC scores for p53, EGFR, VEGF, MDM2, and Ki67 were included from the previously published dataset. IHC labeling of all these markers was analyzed, and their interrelationship was studied and correlated with the survival pattern. Results: Cases were categorized as glioblastoma, IDH-wild type; glioblastoma, IDH-mutant; and glioblastoma, not otherwise specified (NOS). A total of 17 cases were categorized as glioblastoma, IDH-wild type and 10 cases were categorized as glioblastoma, IDH-mutant. Three cases in younger adults were categorized as glioblastoma, NOS. In glioblastoma, IDH-wild type, p53 expression was found in 7 cases, increased Ki67 expression was present in 12 cases, VEGF expression was found in 16 cases, MDM2 was expressed in 14 cases, while EGFR expression was present in 10 cases. In glioblastoma, IDH-mutant, p53 expression was found in 5 cases, increased Ki67 expression was present in 4 cases, VEGF expression was found in 9 cases, MDM2 was expressed in 5 cases, while EGFR expression was present in 3 cases. The mean overall survival in glioblastoma, IDH-wild type was 3.1 months and, in glioblastoma, IDH-mutant, the mean overall survival was 6.4 months. 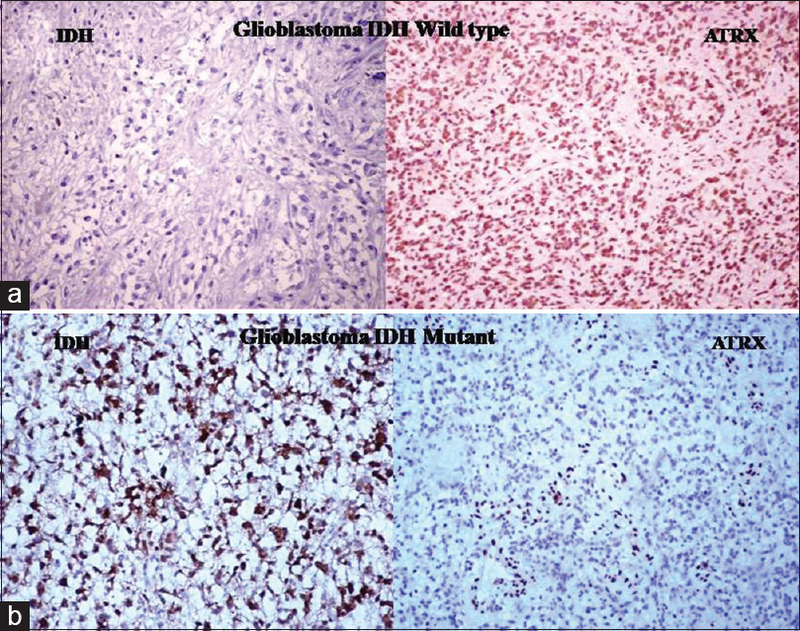 Conclusion: Survival pattern of glioblastoma, IDH-mutant, was better than glioblastoma, IDH-wild type. Phosphaturic mesenchymal tumor (PMT), while a rare entity, is nevertheless an important cause of oncogenic malacia/tumor-induced osteomalacia (TIO). We present a case of PMT. 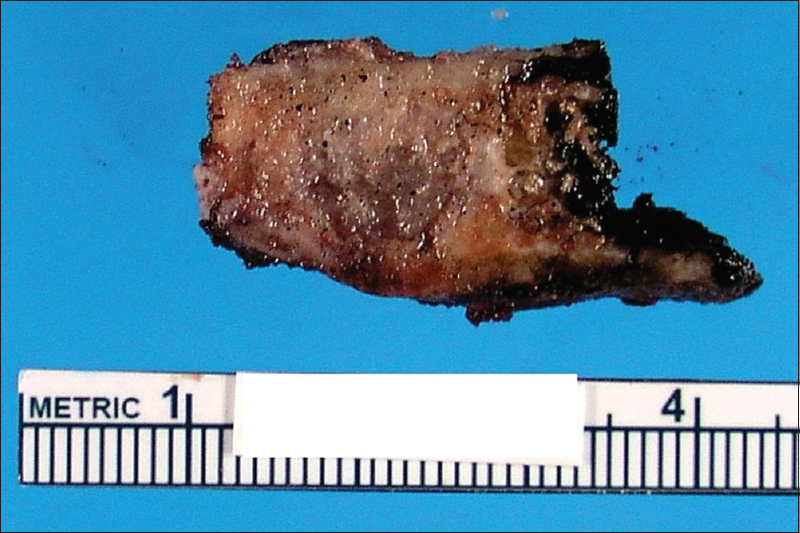 Our 47-year-old patient presented with unexplained osteomalacia refractory to medical therapy, associated with left subtrochanteric stress fracture. Further workup revealed the presence of a tumor in the left anterior inferior iliac spine, which was subsequently excised. Histopathology of the tumor showed the characteristic features of PMT, including grungy calcifications, osteoclast-type multinucleated giant cells, and bland round-to-spindled tumor cells. Following excision of the PMT, the patient's osteomalacia swiftly resolved. PMT is an important differential diagnosis in the context of oncogenic osteomalacia/TIO. As highlighted by our case report, PMT has fairly characteristic clinical and histopathologic features. However, given its rarity, an awareness of this entity is required for correct diagnosis and treatment.